Cloud Dataflow is a fully-managed service for transforming and enriching data in stream (real time) and batch (historical) modes with equal reliability and expressiveness -- no more complex workarounds or compromises needed. 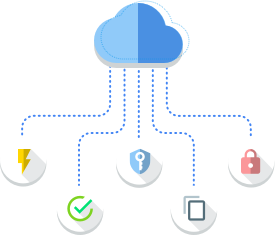 And with its serverless approach to resource provisioning and management, you have access to virtually limitless capacity to solve your biggest data processing challenges, while paying only for what you use. Cloud Dataflow supports fast, simplified pipeline development via expressive SQL, Java, and Python APIs in the Apache Beam SDK, which provides a rich set of windowing and session analysis primitives as well as an ecosystem of source and sink connectors. Plus, Beam’s unique, unified development model lets you reuse more code across streaming and batch pipelines. To request a notification of Dataflow SQL’s upcoming alpha availability, please fill out this form. We’ll reach out to let you know when it’s available for your use. GCP’s serverless approach removes operational overhead with performance, scaling, availability, security and compliance handled automatically so users can focus on programming instead of managing server clusters. Integration with Stackdriver, GCP’s unified logging and monitoring solution, lets you monitor and troubleshoot your pipelines as they are running. Rich visualization, logging, and advanced alerting help you identify and respond to potential issues. 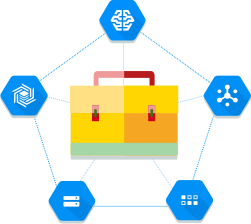 Use Cloud Dataflow as a convenient integration point to bring predictive analytics to fraud detection, real-time personalization and similar use cases by adding TensorFlow-based Cloud Machine Learning models and APIs to your data processing pipelines. 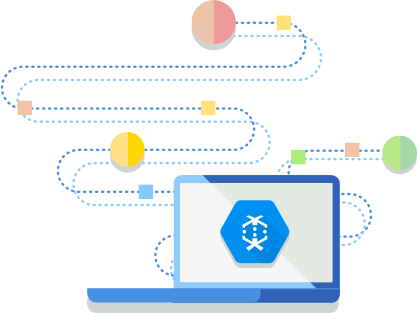 Cloud Dataflow seamlessly integrates with GCP services for streaming events ingestion (Cloud Pub/Sub), data warehousing (BigQuery), machine learning (Cloud Machine Learning), and more. Its Beam-based SDK also lets developers build custom extensions and even choose alternative execution engines, such as Apache Spark via Cloud Dataproc or on-premises. For Apache Kafka users, a Cloud Dataflow connector makes integration with GCP easy. Cloud Dataflow automates provisioning and management of processing resources to minimize latency and maximize utilization; no more spinning up instances by hand or reserving them. Automated and optimized work partitioning dynamically rebalances lagging work. No need to chase down “hot keys” or pre-process your input data. Provides built-in support for fault-tolerant execution that is consistent and correct regardless of data size, cluster size, processing pattern or pipeline complexity. Horizontal auto-scaling of worker resources for optimum throughput results in better overall price-to-performance. 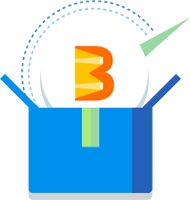 Apache Beam SDK offers equally rich MapReduce-like operations, powerful data windowing, and fine-grained correctness control for streaming and batch data alike. Developers wishing to extend the Cloud Dataflow programming model can fork and/or contribute to Apache Beam. For processing with flexibility in job scheduling time, such as overnight jobs, flexible resource scheduling offers a lower price for batch processing. These flexible jobs are placed into a queue with a guarantee that they will be retrieved for execution within a six-hour window. Cloud Dataflow vs. Cloud Dataproc: Which should you use? Cloud Dataproc and Cloud Dataflow can both be used for data processing, and there’s overlap in their batch and streaming capabilities. How do you decide which product is a better fit for your environment? Google Cloud Platform partners and 3rd party developers have developed integrations with Dataflow to quickly and easily enable powerful data processing tasks of any size. Cloud Dataflow jobs are billed in per second increments, based on the actual use of Cloud Dataflow batch or streaming workers. Jobs that consume additional GCP resources -- such as Cloud Storage or Cloud Pub/Sub -- are each billed per that service’s pricing. It will become available in other regions in the future. 6 See Cloud Dataflow Pricing for more information about Data Processed.